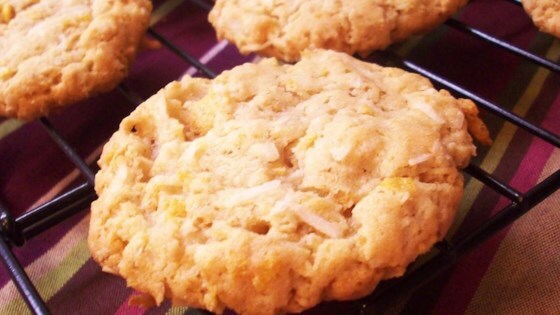 "Crispy, chewy, coconut, oatmeal, cornflake cookies. Wow are these good!" Very, very sweet & very salty. This has potential with changes. LOVE the crispiness! Thanks!